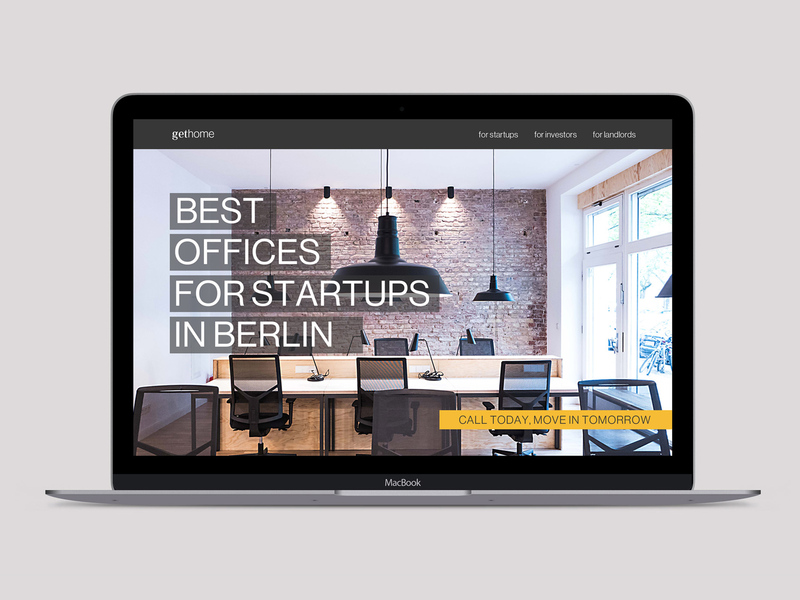 GetHome is a Berlin-based prop-tech startup, offering stress-free office solutions to entrepreneurs and startups. The website was meant to showcase the services, as well as to convert users into potential clients through newsletter subscription. The combination of warm yellow and elegant grey is meant to convey a professional yet warm and welcoming mood. The information is reduced to a bare necessary minimum to respect the user’s time. 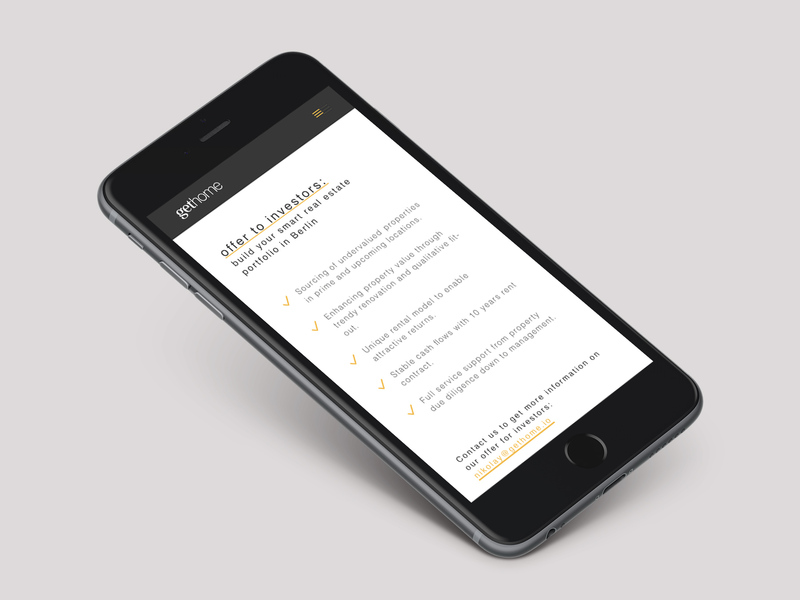 Clear CTAs are placed strategically to boost conversion.